When I first started making brushes, I made two sets. Both are for Painter IX, X, and 11. I will have to provide samples later…probably in a post in the blog. Here is the link for the downloads: I am sorry, the downloads for Painter IX, X and 11 are no longer available, but you can use the ones below for Painter 12.1 and later. i’ve been looking at your video’s and wanted to play with your brushes. But the watercolor brushes link has reach it’s downloadlimit. Can you upload them once more? Thanks for letting me know. I have fixed the link and the files are ready to download again. I have the pro version of You Send it and there shouldn’t be a limit, but I got the update after I had posted those brushes. Hopefully, this link will not expire. Will all of your brushes work with Painter 12.1? Yes they will all work with Painter 12.1. When I post the Brush Management Primer, I will also post files for each brush category that will automatically load into Painter 12.1. Like I said in a previous comment…they should be posted no later than Tuesday. Hi skip since I am just now downloading some of your watercolor brushes and libraries for the first time…are the newer ones included in the most recent ones or should I download them all? Each set is different from the later ones. I don’t bring brushes forward to other sets. The only exceptions would be sets I made to go along with a webinar or painting. I will put them all together so if you are trying to follow along and paint, you will have all the brushes at your finger tips. Thank you Skip….I don’t want to miss a single one! Hi Skip. First, I want to thank you for making these brushes available to us. They are beautiful and fun to work with. My question. I have downloaded the “Skip’s Digital Watercolor Library”. 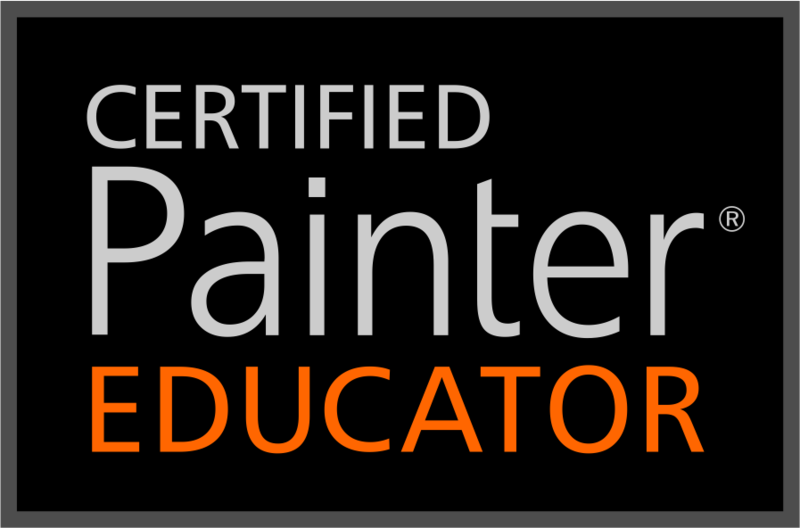 It is installed in Painter 12.2.0.703 running on a Mac Pro, OSX 10.8.2. When I go to use the brushes Painter says “Only Watercolor Brushes can be used on a Watercolor Layer”. I assumed from the name that they are watercolor brushes … I’m not sure why they are not work as such. I have tried both the library and category files, neither will let me work on a watercolor layer. Thank you Skip. These are wonderful brushes … I sure appreciate you sharing them with us. Happy New Year, and Thanks again! Thank you so much for giving me the link to your work. It looks fantastic. I love seeing what folks do with the brushes; everyone uses them differently. I like your image very much. Thanks, I’m glad you are finding the blog helpful. Skip, the zip files are empty! could u please have a look at it. i really wanted to try the brushes!